Brookside Contracting Inc., based near St. Louis, has been in business since 1994. 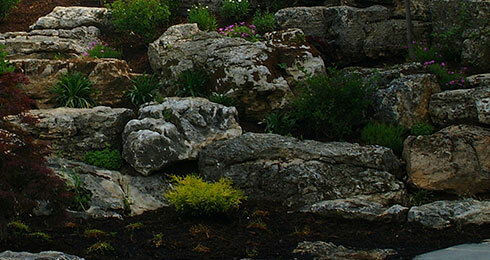 We are a professional landscape construction company with a unique and specialized area of expertise. 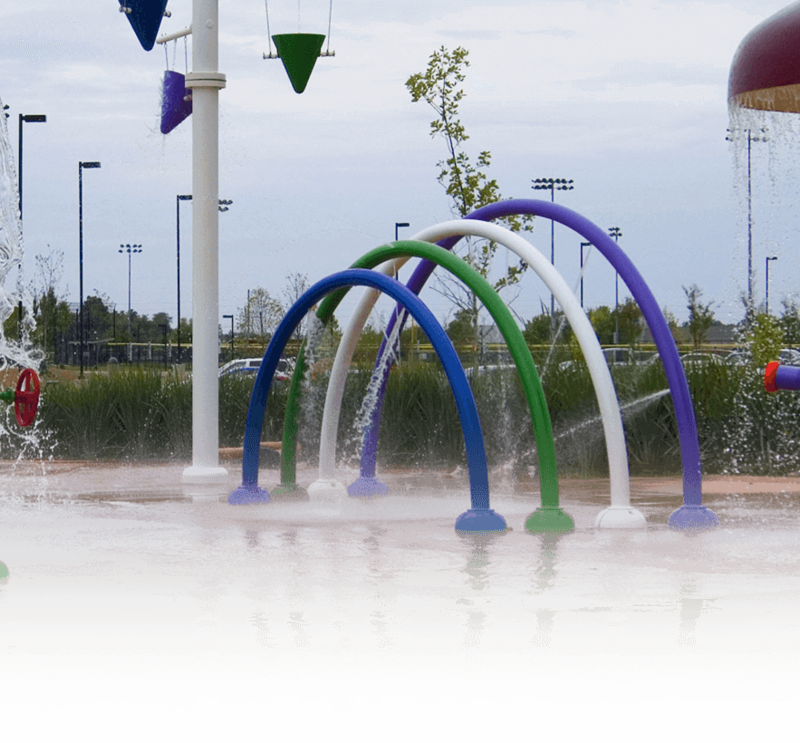 For the last two decades we have focused primarily on the design and construction of elaborate commercial and high-end residential water features. 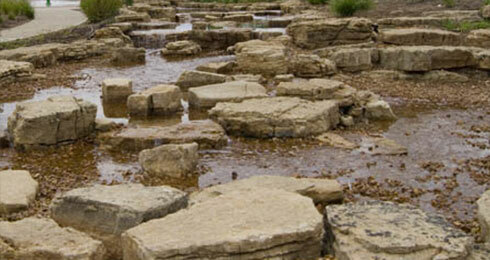 Our experience and expertise in the construction of water features is unparalleled in the St. Louis area. 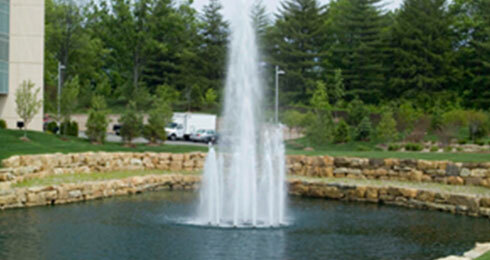 Provide balance and movement in your landscape design with a custom Brookside fountain. Brookside waterfalls fit naturally into the landscape, cascading in just the right places and flowing beautifully from one level to the next. 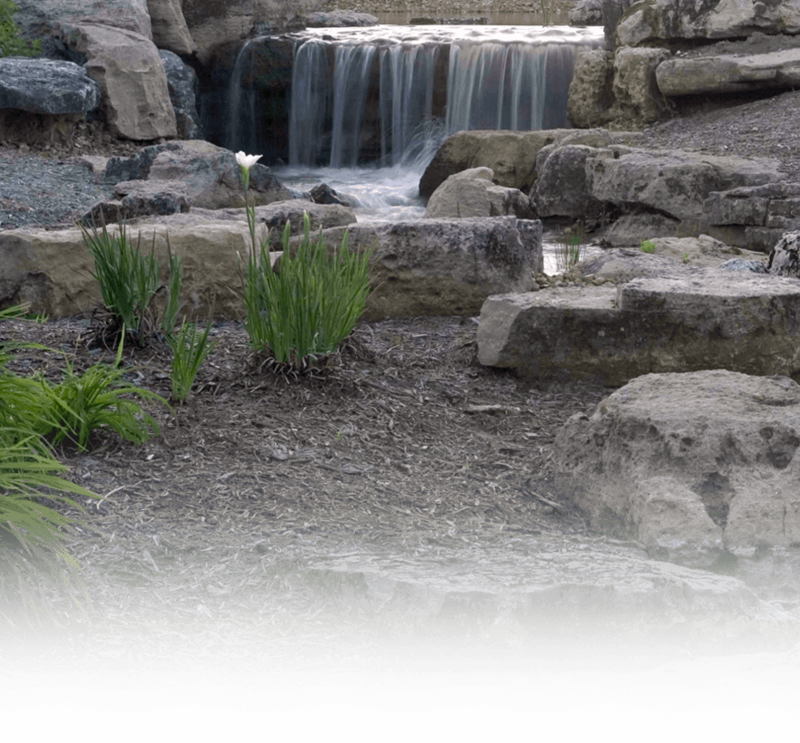 Add serenity and elegance to your project with a custom designed stream from Brookside. 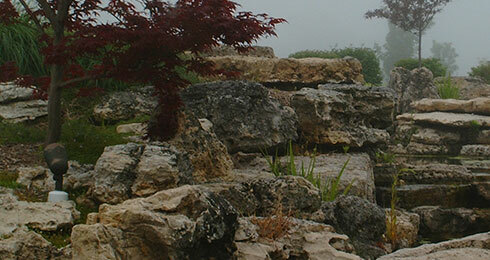 Brookside offers pond creations in multiple options and price ranges in order to achieve the appearance you desire. 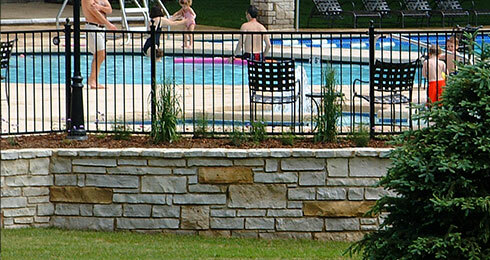 At Brookside, we have experience with boulder walls and landscape design of all sizes and can help you create the look you need. Whether you are looking for artistically rustic or modern and formal, Brookside has the materials and machinery to make your vision come to life. Brookside has experience with sculptures and engravings. 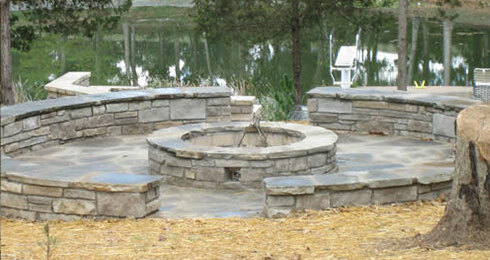 From backyard fire pits and barbecues to full kitchens, Brookside can create your dream project. "Brookside just completed two projects, Wildwood Valley Gardens and Evergreen Glen, at Bellefontaine Cemetery. Both projects took dedication, patience, and professionalism and the results far exceed anything drawn on paper." "In reference to Brookside’s work at Lewis & Clark Trailhead Park: “The plaza is loved by all who come by (thousands!). 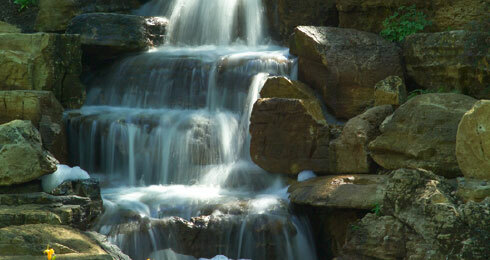 The children are always climbing the rocks and the falls are being used for pictures all the time." "I am an architect in the St. Louis area. Twice I have used Brookside and both experiences I would rate excellent or better. 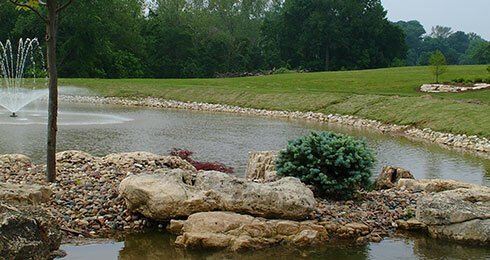 Pat and their crew’s creative input and ability to implement their ideas resulted in two of the most interesting and natural looking landscape projects I have seen." 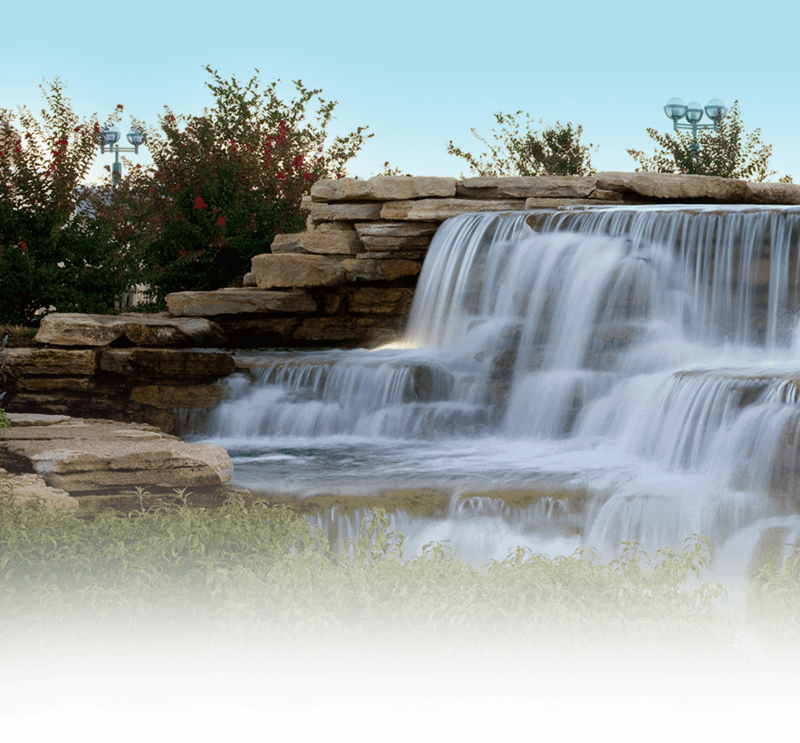 "Brookside created a beautiful waterfall for us. It looks so natural that people think it’s part of the natural landscape. It is extremely well done and very artistic."